The National Highway Traffic Safety Administration has opened an investigation into Volkswagen's DSG transmission after complaints from owners. ODI has received 12 Vehicle Owner complaints (VOQ's) alleging incidents of loss of motive power while driving due to a malfunction of the Direct Shift Gearbox (DSG) transmission used in the subject vehicles. 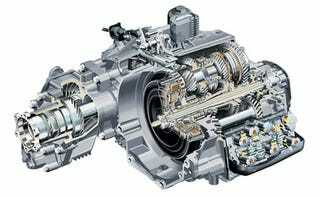 In most incidents, the DSG malfunction either spontaneously self-corrected or was temporarily corrected after the engine was stopped and restarted. Three complaints indicate that the vehicle had to be towed. In addition, ODI has received 15 complaints alleging safety concerns with harsh shifting either during low speed parking maneuvers, while accelerating from a stop or during upshifts/downshifts at speed. A Preliminary Evaluation has been opened to assess the frequency and safety consequences of the DSG transmission malfunctions.